MENLO PARK, CA--(Marketwired - January 05, 2016) - A panel of four distinguished judges, along with over 200 representatives from airlines, global distribution systems and travel technology providers, airports and travel management companies, recently awarded Soarigami 1st Place in the Passenger Innovation Awards during the International Air Transport Association's (IATA) World Passenger Symposium in Hamburg, Germany. Soarigami's sustainable, lightweight and portable armrest divider/extender, designed and built by Silicon Valley-based Focus Product Design, finally brings peace to the "Elbow Wars," passengers fighting for armrest space on adjacent airline seats. 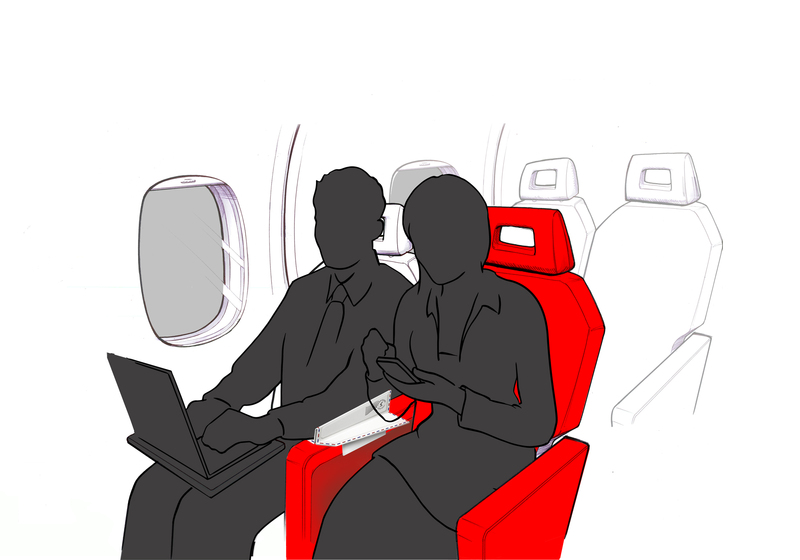 Soarigami's design not only extends the usable armrest space between two passengers for comfortable sharing, but also provides a middle barrier that helps savvy travelers enjoy a more relaxing experience. Inspired by an origami paper airplane, the product is fully sustainable as it's manufactured out of recycled materials. When the innovators at Soarigami conceived this product, they sought a firm that could not only design it but take it all the way to market. After a significant search, Soarigami engaged Silicon-Valley-based Focus Product Design because of their reputation and Design-To-Market™ methodology. Drawing on staff experience cultivated from working with the likes of Apple and Audi, Focus helped Soarigami take flight. Learn more details about the design process here. Focus Product Design CEO Adam Tavin said, "Soarigami came to us with a challenge to design a flexible, compact armrest that would be strong enough to do the job, but without using metal connectors that could prevent the device from passing through TSA security. By using the right geometries and designing for flexibility, we created an appealing, flat, easy-to-carry device manufactured from moldable plastics that supported sustainability. Using our Design-To-Market™ process, we optimized the design for manufacturing to minimize the number of unique parts while maximizing quality -- thus creating a higher-margin, more easily manufactured, more scalable product." Grace Chang, Soarigami's Co-Founder, said, "Soarigami has been trying for years to end the 'Elbow Wars.' Before we engaged Focus, the original prototypes were clunky and not user-friendly. We recognized the need for a professional industrial design firm and partnered with Focus Product Design. We appreciated their full lifecycle Design-To-Market methodology. Focus turned our vision into reality, helping us create a simple, slim, and sleek product that is both sustainable and profitably scalable." The Passenger Innovation Awards is an initiative that aims to ignite new ideas in the passenger world. Finalists win cash awards and recently had a unique opportunity to attend the IATA World Passenger Symposium, and to network and present their ideas on stage to all the delegates. Please visit the Passenger Innovation Awards 2015 Website for profiles on each of the finalists. Focus Product Design provides services throughout the full lifecycle of product design and development, from concepting and engineering to prototyping, manufacturing and marketing. Focus' Design-To-Market approach leverages the insights and experience of its Silicon Valley-based team of industry veterans-mechanical, electrical and industrial engineers, industrial designers, product managers and marketing professionals. Unlike design- or "design-and-prototype"-only product design firms, Focus' services encompass true end-to-end product development and marketing launch. Follow us on Twitter or Facebook to learn more about our latest designs, visit us at Booth 73366 at CES 2016 in Las Vegas January 6-9 or visit our website at focuspdm.com. Soarigami is a patent-pending consumer travel product that solves the problem of fighting for armrests. 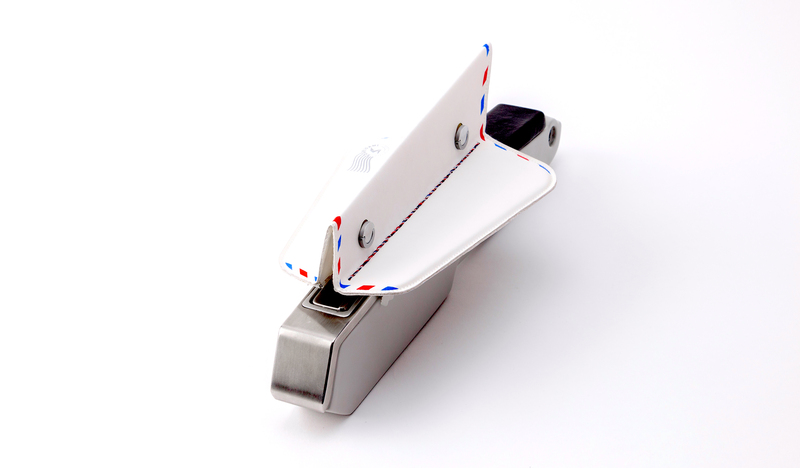 The idea for the Soarigami came from being stuck in a very uncomfortable airplane seat. Sick of fighting for armrest space with strangers, our co-founder sketched a design that would ultimately become the Soarigami on, you guessed it, a cocktail napkin. Our goal is to make the skies savvier by raising awareness and contributing to sustainable air travel. Soarigami is currently considering licensing opportunities with retail and airline partners. IATA (International Air Transport Association) represents nearly 260 airlines comprising 83% of global air traffic. You can follow us at http://twitter.com/iata2press for news specially catered for the media. Design-To-Market is a trademark of Focus Product Design.